The natural fibre group of employees hate anything polyester. So only want 100% cotton, wool or linen. These employees are battled by the polyester easy-care camp who don’t own an iron and do not want the hassle of high maintenance uniforms. Fat and thin don’t mix. The uniform you lovingly selected usually doesn’t come in a range that fits everyone from Victoria Beckham to Biggest Loser candidates. And if it does, the people will complain it doesn’t look good on them. Religious needs must be considered. Your uniform must be able to be worn by people of different religious beliefs. After working with women of the Muslim faith, this is not as easy as it sounds. Make sure you are not indirectly discriminating against any existing or potential employees and factor this into your uniform design. Then there are the pregnant employees. Employees who become pregnant need to be considered when organising uniforms. Will larger sizes be enough or do you need special maternity clothing ranges? Who pays for uniforms and tailoring to fit? The whole issue of who pays for what is guaranteed to cause a few headaches. Talk with a good IR lawyer and your accountant before finalising your company policy. Good style vs practicality. One company I worked with had one of Australia’s top designers create a very stylish uniform … and the employees went on strike over it. It was too hot for menopausal women having hot flashes and people with a weight condition, which created WHS issues. 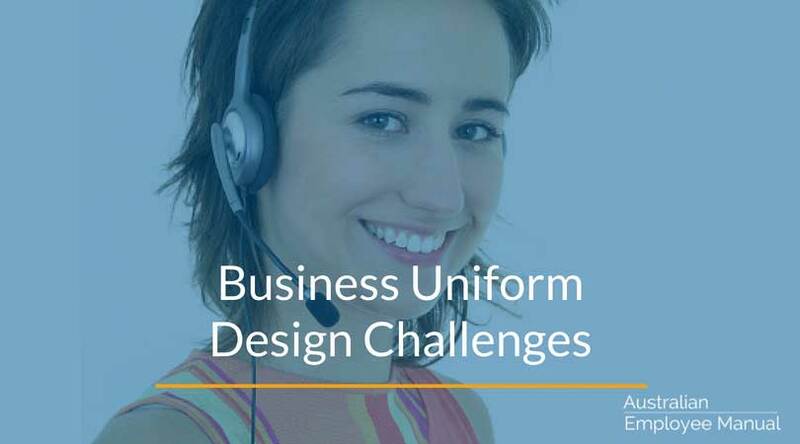 The design must match both the climate across your geographic area and your workforce. And the even worse news … whatever you choose will be out of style next year and the style conscious employees will complain bitterly about it. Weight loss/gain. Employees gain and lose weight – that’s a fact of life. But what about who supplies the uniforms to match changing shapes? Supply issues. You finally find the perfect uniform. It is brilliant and 80% of your employees love it. It is pretty much guaranteed that it will be discontinued, out of stock or change fabric within 12 months. It is a fact of life – get over it! Pleats vs plain front pants. Don’t think it is just women with issues. Men are just as militant if their pants have pleats or plain fronts. Compliance policies. You need to be 100% clear on any compliance policies for wearing uniforms – and follow through on actions if people don’t comply. This includes specifying sock colour – I have experienced one female employee wearing neon orange and lime green knee-high socks under her uniform. Managers are your worst problem. If your manager or CEO hates uniforms, then expect white-anting and non-compliance to be the order of the day as they turn a blind eye to whatever policy you have in place. So is it worth it? Yes – even with all of the fights, arguments, weeks of work and committee meetings – employees branded with good looking uniforms makes a real difference to the image of your company. Just go in with the understanding that this is going to be the toughest branding issue your company will ever face! 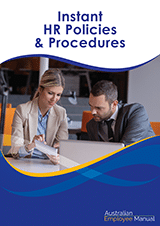 Our Instant HR Policies & Procedures Manual and NDIS Self Managers Direct Employment Manual both have detailed uniform policies to help navigate this minefield.